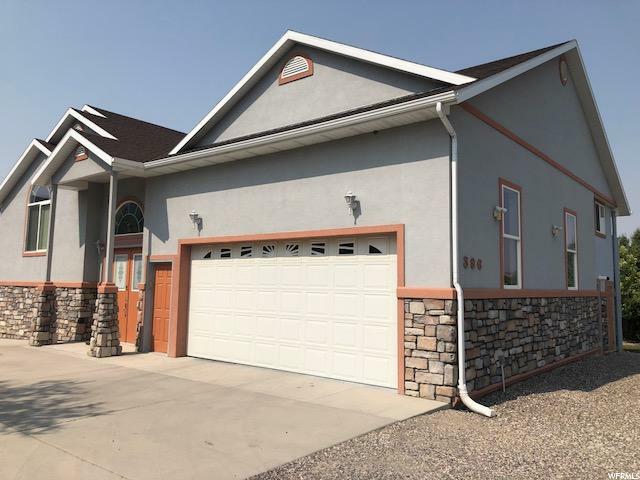 All Sterling homes currently listed for sale in Sterling as of 04/24/2019 are shown below. You can change the search criteria at any time by pressing the 'Change Search' button below. If you have any questions or you would like more information about any Sterling homes for sale or other Sterling real estate, please contact us and one of our knowledgeable Sterling REALTORS® would be pleased to assist you. "Stunning panoramic views from your wraparound deck watching the elk and deer below and the geese and cranes swooping down to the reservoir. This is the dream property you've been looking for. 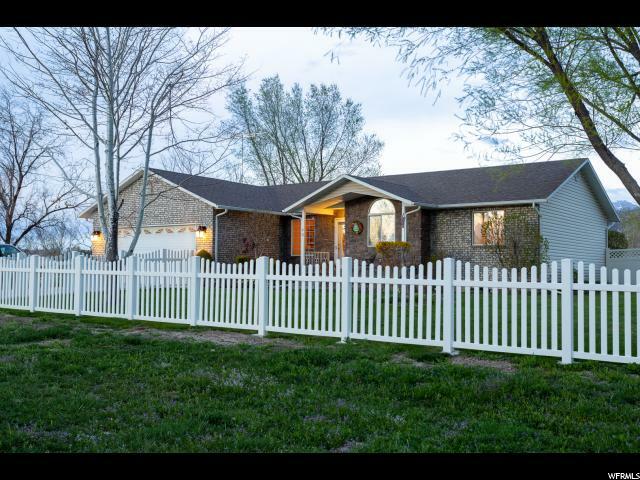 Built like a resort lodge and strategically located in the most beautiful area of the Sanpete valley. Red rock cliffs to your south, snow-capped mountains to the east, breathtaking sunsets behind the west hills, and a gorgeous view of the farms and valley to the north. Stately entrance into the grand room where you are immediately impressed with the massive stone fireplace, custom timber woodwork and beautiful hickory wood floors. Huge kitchen with custom cabinets, large granite island, and bank of windows for tons of natural light. Make this the gathering place for friends and family. Vaulted ceilings throughout the home complements and accentuates the connection to the country. Luxurious bathrooms with custom tile add to the resort vibe of this stunning home. True country living is an option year-round with a private water well, 21,000 gallon propane tank, backup generator, wood-burning stoves, massive 28,000 sq ft greenhouse, charming chicken coop, and producing fruit trees. You'll create the experiences you and loved ones will remember forever sitting around the fire or sailing on Palisade Lake, riding snowmobiles in the world famous Manti Complex, playing at the Palisade State Park golf course with one of Utah's highest rated holes, and so much more!" "This home has not one expense spared. Solar, Sauna wet or dry, Outside lodging for investment or just to entertain family and friends. Outside accessible restroom's and full bath. Playground, zip line, garden area fenced off from the deer. And very close to Palisade State park!! Investment property or for your own personal home. Either way its a must see. Square footage figures are provided as a courtesy estimate only and were obtained from County records. . Buyer is advised to obtain an independent measurement." "****REDUCED PRICED*****COUNTRY LIVING AT THE VERY BEST!!! 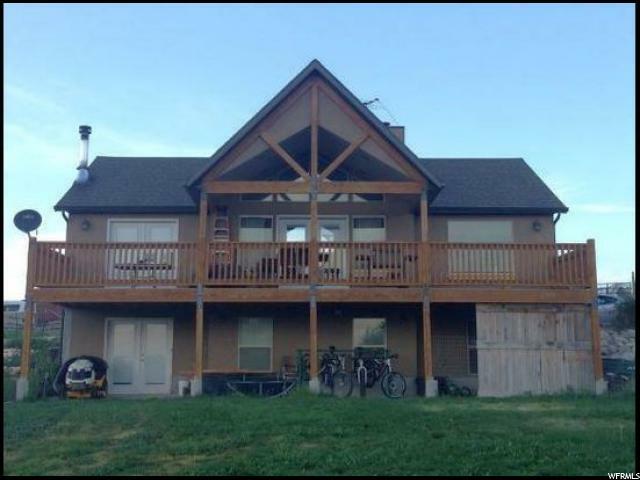 Beautiful views all the way around; horse property minutes from the mountains, lake just out the back door, ATV riding straight from the driveway....and so much more! Open floor plan with vaulted ceilings. Wood burning stoves upstairs and downstairs. Laundry hookups both upstairs and downstairs. Large deck on the front. Fully fenced yard with room for animals. Round pen and two hitching rails in the back. Chicken/bird coop recently built. Shed/shop located in the front, 20 foot storage container, and shed in the back. Square footage figures are provided as a courtesy estimate only and were obtained from Sanpete County. Buyer is advised to obtain an independent measurement." 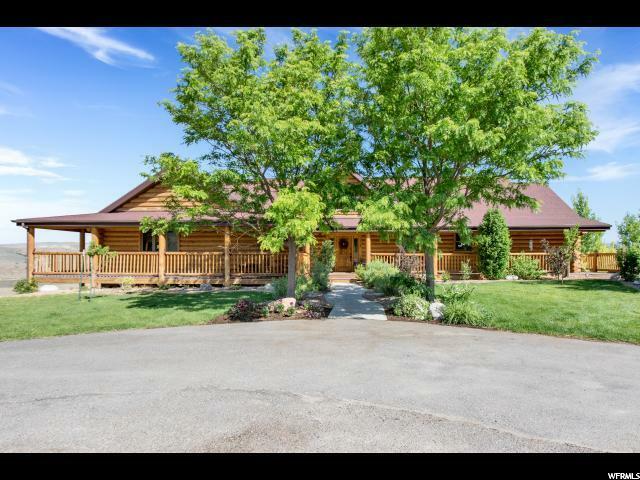 "Beautifully landscaped country home in Sterling, Utah set on .53 acres, this 5 bedroom, 3 bath charmer is a country dream. Curl up in front of the fireplace, grow a garden right in your own backyard. A quiet simpler life awaits. Potential horse property. Square footage figures are provided as a courtesy estimate only and were obtained from county records . Buyer is advised to obtain an independent measurement."